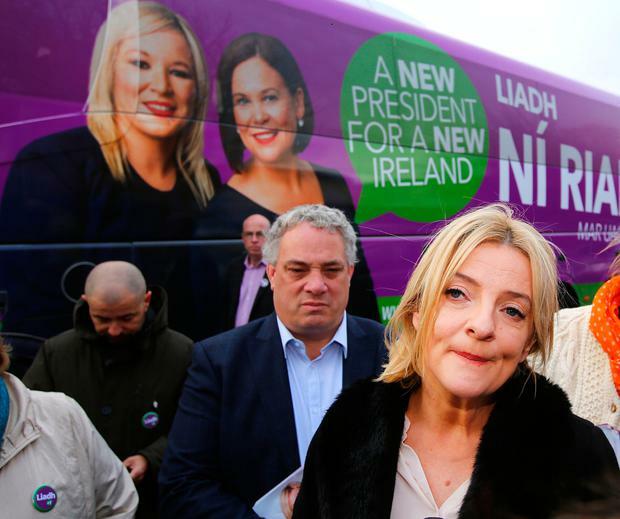 SINN Féin's Liadh Ní Riada blamed low turnout and the "personality-based" nature of presidential elections for her party's disastrous result. Ms Ní Riada came fourth, with 93,987 votes (6.37pc), far less than her party's usual level of support. "You just have to take it on the chin". The Ireland South MEP said she will be back in Brussels next week after spending time with her family. She was asked by reporters what went wrong. Ms Ní Riada replied: "Presidential campaigns are not like ordinary campaigns. "There was a low turnout." She also said: "It’s much more personality-based and had we had more time perhaps people would have got to know me better." It was put to her that Sinn Féin's support went elsewhere and she said: "As I said this wasn't a normal political campaign... I think it was very much focused see on the candidates themselves and so there's no telling what the electorate will do on the day. "They obviously gave their message and they're happy with Michael D [Higgins] and let's hope that he'll have a very fruitful seven years ahead of him." She congratulated Mr Higgins and said she hoped he will lead a discussion on a United Ireland. Party leader Mary Lou McDonald rejected suggestions that Sinn Féin's election strategy had failed. She criticised other parties for not fielding their own candidates in the election for the highest office in Ireland. She said Sinn Féin planned to spend around €200,000 on the campaign. She said: "We're about affording people democratic opportunities to have their say. "So far from a failure this has been a good campaign for us albeit with a disappointing outcome on the day of polling but... Sin an saol".